In 1976, the nationalist Parti Québécois came to power for the first time in Quebec's history and governed the province until 1985, before winning the 1994 elections with Jacques Parizeau. A tense period followed its election in 1976 within business circles and among the Jewish community. In the midst of this crisis, Victor Teboul’s Mythe et images du Juif au Québec had just been published and it exposed a negative portrayal of Jews in Quebec’s most well-read novels and history books. 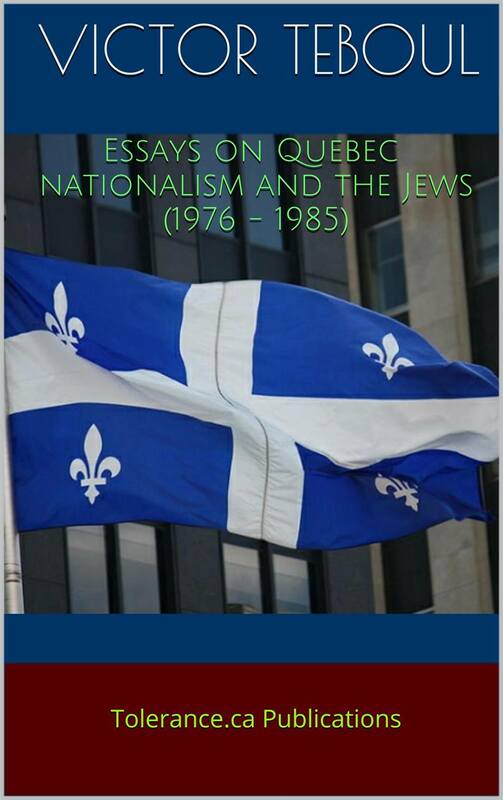 The book had a strong impact on the Jewish leadership and created some controversy among Quebec’s francophone intellectual elite. To order this ebook, please click HERE.